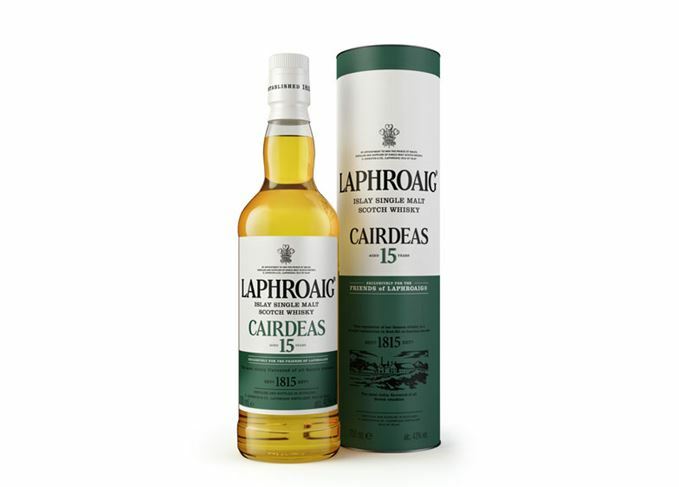 Islay single malt Laphroaig has introduced Laphroaig Cairdeas 15 Year Old – the latest in a series of annual bottlings reserved for members of the distillery’s Friends of Laphroaig collective. Created by distillery manager John Campbell, Laphroaig Cairdeas 15 Year Old was distilled in 2002 and matured in first-fill ex-Bourbon casks. It is described as offering ‘sweet vanilla and subtle spice’ on the nose, reminiscent of ‘fresh nutmeg and toasted almonds’, with ‘gentle, warming peat smoke’ on the palate. ‘Our friends are very important to us at Laphroaig,’ said Campbell. ‘It’s a polarising whisky, so it means a great deal that our fans remain loyal to us. Laphroaig Cairdeas 15 Year Old, bottled at 43% abv, is available now exclusively to Friends of Laphroaig from the distillery and online, priced at £80 a bottle. A signed 15-year-old bottling by Silvano Samaroli reached £61,000 at auction this week. The spontaneity of Laphroaig's #OpinionsWelcome campaign is just what Scotch whisky needs. A zero plastic policy, free samples of its Cairdeas festival release and even a talent show. From the vaults Dave Broom has chosen a 16-year-old Convalmore, plus 10- and 30-year-old Laphroaigs.